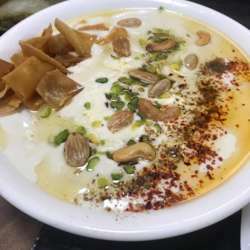 Let's have Syrian breakfast and visit Boza House! You must be a member of the Istanbul Gourmets Group to attend this activity. Would you like to join this group? The plan is to meet Sunday 17th of February at the Syrian Restaurant. We will meet there at 11:00 AM and have a delicious Syrian Breakfast (actually brunch). Please do your best to be on time, and NO later than 11:00 AM, as Syrians don't serve breakfast till so late. After eating, we will go to visit "The Boza House" located in the same area. We will drink unbottled freshest Boza. For those of you who don't know what "Boza" is, it is the most famous turkish sweet fermented drink. Very delicious. We would be really happy to see you all there!